Meat Naturally believes in supplying our customers with expertly prepared quality meat and supporting the small British farmers that are committed to rearing animals naturally and to the highest standards of welfare. Patrick is a qualified butcher with a traditional approach to butchery. He ensures all our butchery is done by hand with expertise and skill, the result is a more superior quality product. 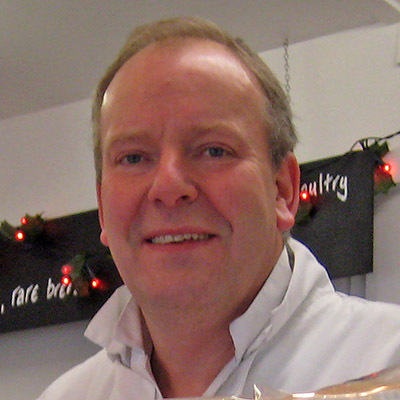 Patrick worked for a number of years at David Lidgate’s, nine years as Meat Buyer and Head Butcher in Harrods Food Hall and more recently as meat operation manger for the Daylesford Organic Butchery. 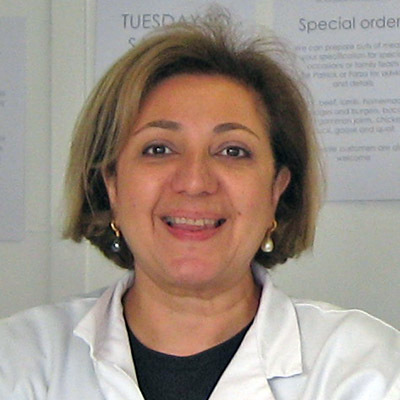 Farza is passionate about good quality food and her experience is mainly linked to the organic industry having been closely involved with the operations and marketing team of five Fresh & Wild organic stores in London, followed by six years at Daylesford Organic as Wholesale Manager. We work with traditional values and try to make the business flexible and straightforward. Our aim is to offer and deliver top quality meat to discerning kitchens.